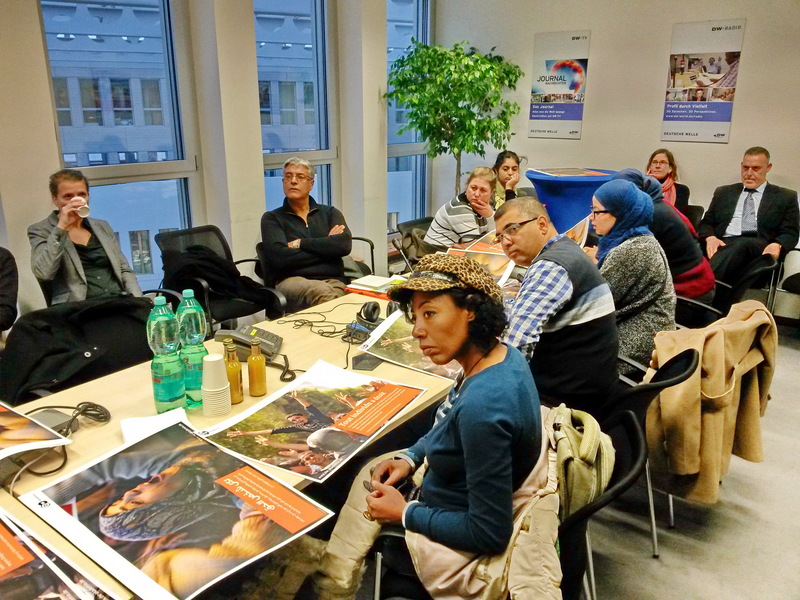 „Getting to know the German Media System” – ten students of the Master program “Political Communication” at the Institut de Presse et des Sciences de l’Information (IPSI) of Manouba University in Tunis came to Berlin from 8-15 December 2013 in order to fulfil this “mission”. They have been accompanied by Prof. Dr. Moez Ben Messaoud, director of the study program at the IPSI. The workshop was jointly organized by the Division for International Communication at Freie Universität Berlin and the Institute of Communication Studies and Media Research at the University of Munich and funded by the DAAD. The Tunisian students have often been working for several years as journalists, public relation managers or in other communication-related businesses before enrolling in the Master program. Studying “Political Communication” at the IPSI – the only academic institution in Tunisia that rewards a Master degree in communication studies – offers a great opportunity for them to continue their studies and enhance their work experience with an academic background. In particular during times of political and social transformation, journalists are among the elites that play a major role in shaping the society. Media are supposed to educate, to inform and also to integrate different parts of society – a very relevant aspect in the Tunisia after 2011. In order to provide the students with food for thought about models of media organisation, media regulation, journalism education and professional journalistic work, they have been invited to study the German media and to get an overview of the specific characteristics of this system. 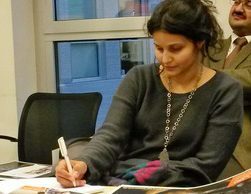 Building on the students’ practical as well as on their academic knowledge, the workshop combined academic lectures with visits of media organizations in Berlin. The starting point was a joint course session with students of the Berlin institute’s Bachelor Programm in Communication Studies discussing general differences of the German vs. the Tunisian media system and the role of different media genres in both systems. The Tunisian students then visited the regional public service broadcaster RBB as well as the coordination office of the media authorities that are in charge of licensing and controlling as well as structuring and promoting commercial radio and television in Germany. Furthermore, and in order to get an idea of the organisation of the press, the students visited the “taz” and also spoke about its very specific model of co-operative funding. Moreover, the students were particularly interested in learning about the transformation of the former East German media and the political management of this process. Thus, the delegation visited the Stasi-Archive and talked to the editors of the “Neues Deutschland”, formerly the leading state newspaper in the GDR. The visits were supplemented by a presentation of Prof. Dr. Michael Meyen from the University of Munich who is an expert on East German media transformation. The relationship between media and politics is another major topic that bothered the Tunisian students due to their own experiences of strong political parallelism in Tunisia. 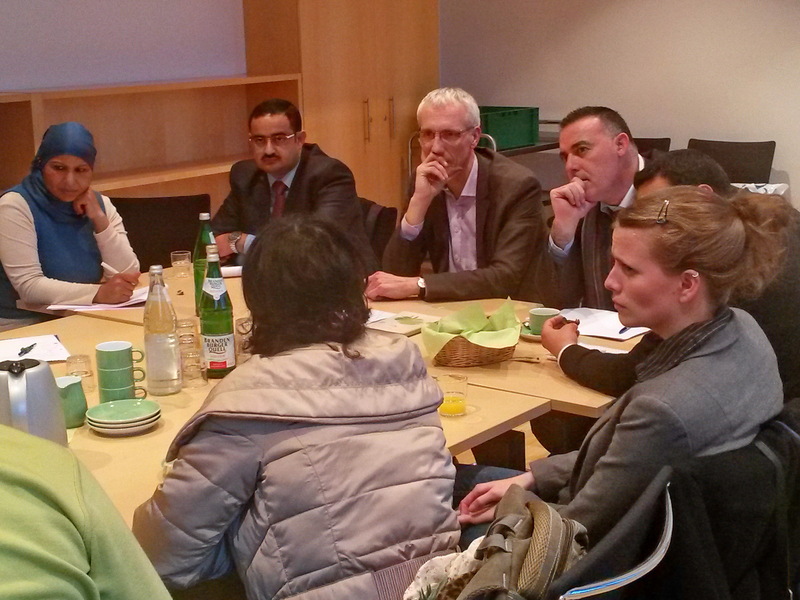 Therefore, the delegation talked to the Konrad-Adenauer-Foundation as well as to the press office of the parliamentary party “Bündnis 90/ Die Grünen” on how they engage with the media. 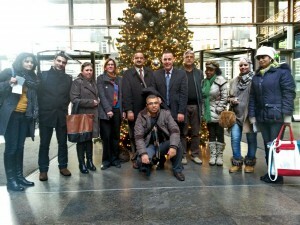 In addition, the students visited the “Bundespressekonferenz”. The workshop was completed with discussions about specific models of training and qualifying journalists that are carried out by German organizations in Arab countries such as the Non-Profit-Organisation „Media in Cooperation and Transition“ (MICT) and the Deutsche Welle Akademie that both closely work with Tunisian journalists. Here is a more detailed summary of the program (in German). My name is Haifa Barhoumi and I am a 26 years old Tunisian girl. I still remember waking up dazzled by a strange feeling of energy… I looked out of the window and suddenly discovered cars lined up to go to work very early in the morning. I was in Berlin and it was a wonderful experience! I discovered the results to be achieved if a country commits itself to its future through transparency, as the guarantee and pillar of democracy! I learnt the importance of unveiling the past to build the future on solid bases. Germany showed me that one way to get there was by developing a viable independent media and an accountable political communication. From stepping up the Reichstag dome towering the Bundestag in glasses, to walking in the corridors of the STASI Museum unveiling what was once hidden, I could see that access to information was granted. This part of the visit made me realize the benefits that are yet to be made by linking our history to our present. The Bundestag reminded me of the Tunisian Castle of Bardo today which is used as the National Assembly’s headquarters: It can become another Bundestag if we show as much commitment to transparency as Germany. 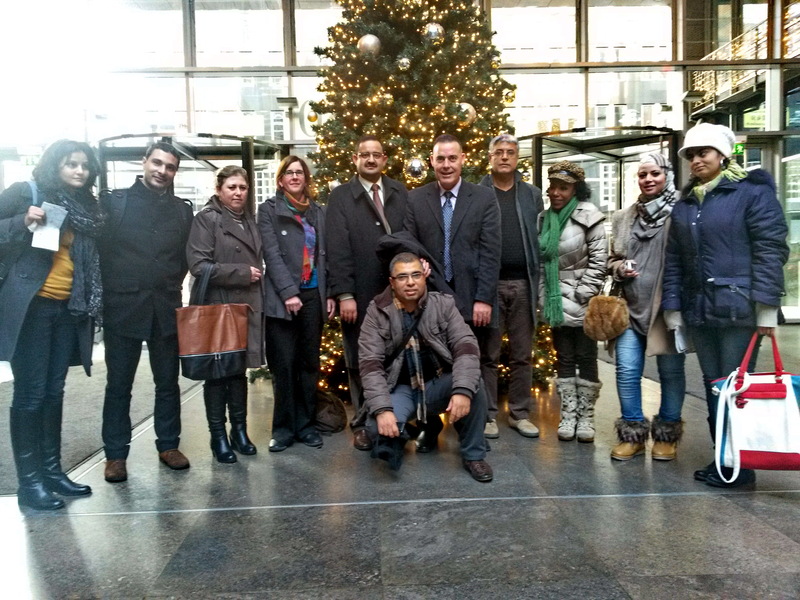 Having posed for a meeting with representatives of local media and parties, we went on to visit representatives of the “Medienanstalten” who explained the strategies adopted to ensure free media – free yet unable to control public opinion. I love the fact that in Germany one can ask and know who owns what media and that media authorities interfere to prevent monopoly over public opinion. I really want to achieve that in my country, too! Another striking aspect of our visit was the “Bundespressekonferenz”: Seeing spokespersons of Germany’s government provide information on a regular and weekly basis made me think that political communication should be more professional in Tunisia. Otherwise, we will end up with an empty space filled with rumors and lies. Thank you for these ressourceful ideas! Les workshops m’ont livrés une vue exhaustive sur l’organisation et le fonctionnement des médias, dans ce pays, et leurs connexions avec la politique. Grâce à un programme dense et varié, on a pu accéder aux principaux organes médiatiques publics et privés installés à Berlin et découvrir un système médiatique original. Les différentes visites que nous avons effectuées m’ont, personnellement, éclairé sur le développement spectaculaire qu’a connu ce secteur en une période relativement courte. Une forte implication de l’opinion publique Pour moi, il est intéressant de savoir qu’en dépit de l’ouverture du marché médiatique au secteur privé en 1984 les départements (« Länder ») disposent de lois fortes dans le domaine médiatique au nom de la souveraineté culturelle, ce qui fait que la radiodiffusion de service public reste de leur ressort. 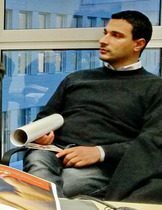 Je trouve que cette manière d’organiser le secteur constitue le meilleur moyen de sauvegarder le patrimoine culturel, vu que le privé est peu enclin à le faire et a tendance à privilégier ses intérêts particuliers. 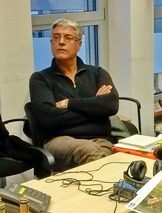 De l’autre, à notre visite, des autorités des médias (« The media authorities ») étant donné qu’elle s’accomplit directement par la présence de citoyens au sein de ces instances de contrôle de l’audiovisuel, puisqu’ils font partie intégrante des commissions de supervision de ces médias. Mieux encore, tout citoyen allemand est en droit de saisir ces instances de contrôle quand il le juge opportun, c’est-à-dire à chaque fois qu’il constate qu’un abus est commis par une radio ou une chaîne de télévision. Ces manières de procéder devraient inspirer notre HAICA, l’équivalent de l’instance allemande de régulation de l’audiovisuel. La deuxième étape de notre voyage a été bien évidemment l’université de Berlin, pour assister au séminaire sur les « théories de la communication internationale ». Au cours de ce séminaire, la délégation tunisienne et les étudiants allemands ont présenté chacun le système médiatique de leurs pays respectifs. La rencontre a été une parfaite transition pour la visite ultérieure, puisque les étudiants allemands nous avaient expliqué que le système médiatique germanique était composé, d’une part, des médias publics, et d’autre part, des médias privés. Nous nous sommes donc déplacés à la « Rundfunk Berlin-Brandenburg », une énorme télévision « locale », qui couvre deux länders (Berlin et Brandenburg). Intéressante visite également au quotidien « TAZ », qui fonctionne d’une manière assez atypique, avec des journalistes qui possèdent des parts dans le journal. Le fonctionnement quotidien du journal est également à étudier avec beaucoup d’intérêt.